The distillery was founded in 1886 by Christiano Matthiessen. An abolitionist road engineer who emigrated to Brazil from Denmark. He was hired to plan roads and highways in the area. There he met his wife; Sofía, half Brazilian and half German. Christiano, totally in love with Sofía and the colors of that wonderful country, decided to buy the estate with the help of Pudente Morais, the President of Brazil at the time. They began working on local wood furniture, and later they started producing coffee. Although the really fascinating moment is when they ventured out to work the cane to produce sugar. And that´s how the production of cachaça began in 1900. 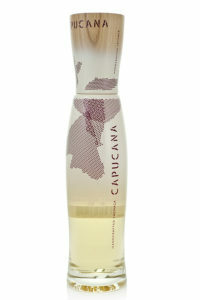 Capucana is a super-premium Brazilian Cachaca offering a balance of tradition and innovation. 9 varietals of sugar cane are freshly pressed in a proprietary blend, then fermented and distilled; a process that has been mastered by the Capuava Distillery (located in the Piracicaba region of Sao Paulo) over several generations. Capucana is a blend of Cachaca that has been aged in Islay Scotch Whisky barrels and traditional unaged Cachaca (approximately 70% unaged, 30% aged). The end result offers a traditional profile of floral grassiness that is followed by a longer, off dry finish rich with barrel notes of honey, vanilla, and light smoke. Please use the Product Finder to locate Capucana in your area. They say that the production of CACHAÇA was associated to slavery as a method of payment. And as with all alcohol, this resulted in the abuse by the colonisers. However, far from this erroneous myth, the production of CACHAÇA became a symbol of rebellion against oppression.